great! love the colors in these photos. 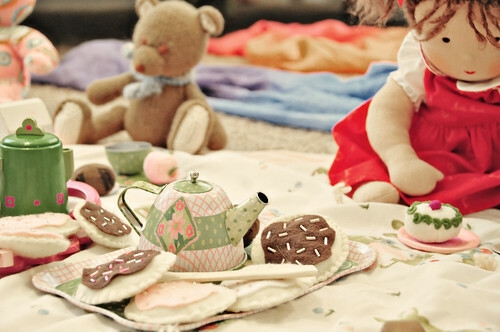 i sometimes wish we had more tea parties and baby dolls around here . . . it's all pirates and legos in these parts. Aww, how sweet is that!! 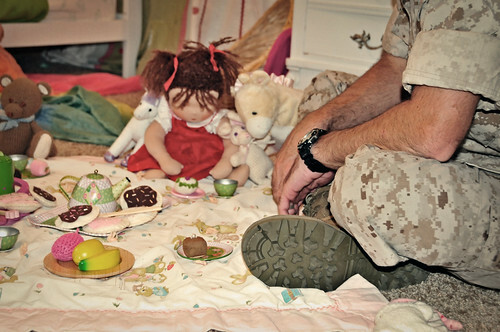 Crumpets and combat boots... awesome! 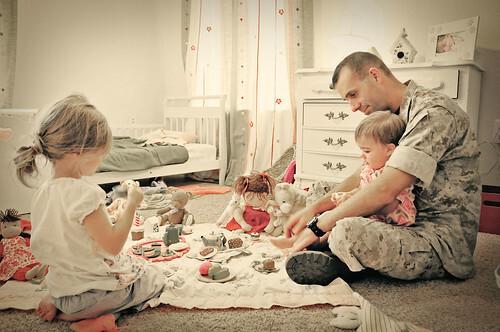 That is absolutely precious! I know I'm always saying this, but seriously, this picture must be shared with the world. Published....Please publish this! Sara -'crumpets & combat boots' -LOVE. Everyone -thanks for the comments today and especially for all the love yesterday!